From the time we walked in, the place felt like home. The house was warm and welcoming. The location was great, short walk to beach, ice cream, restaurant, or fresh seafood market. Pool was just outside. Our dog, Shyloh felt right at home. There wasn’t a thing we needed, kitchen was fully stocked with every utensil my chef husband wanted. Plenty of space for our family of four for hanging out. The girls loved the hammocks. We enjoyed being so close to shopping and the many dining options. The owner Pat is wonderful, can’t wait until we can return. This house was perfect for our spring break vacation. It is beautifully and comfortably decorated and has everything we needed. The beach is a very short walk and there are plenty of places nearby to exercise our dogs. The pool is just steps away and the community is quiet and nicely landscaped. The house has great porches for relaxing, reading, or just napping. Shopping and restaurants are close, as are biking and hiking trails. Pat and her team are fantastic to work with. Storms from the previous week had affected the wifi operation, but I made one call and it was quickly fixed the same morning we arrived. We would definitely stay here again! "Great Property in a Quiet, Friendly, Convenient Location"
Just completed a 2 month winter stay at Mellow Yellow with our 2 mid-sized rescue doggies. The cottage is exactly as described in this listing. The stunningly beautiful beach is close by, and the Old Florida Cottages community is very quiet, intimate, and friendly to pets and people alike. There is a great selection of restaurants ranging from elegant to local charm within walking distance and and a huge selection within a short drive. The 30A area is absent the hustle and bustle of the more built up areas in the region — just the way we like it. All the services you will need are a 5-10 minute drive away. Mellow Yellow met our needs perfectly and we would recommend it for a family vacation or seasonal snowbirds, especially those with pets. 2009 we stay at Mellow Yellow “loved it” but in 2010 we wanted a home with a fenced in yard for our 4 legged children 🙂 Sooo we chose Europa…. not just because of the pool or fenced yard but the owner… Pat you made us feel like we are family and Europa was everything and more but you made it special!!!! Just wanted to drop you a note to say thanks for sharing Europa with Melanie and me. We thoroughly enjoyed staying there and found everything to be just as nice as we could expect. You have a very beautiful place and is convenient to everything in the area. Our 4 legged children had a great visit and loved the back yard. We just returned from a wonderful 7 days in beautiful Santa Rosa Beach! Mellow Yellow was the perfect accomodations! The location was wonderful – a quick walk to the beach or 30A, footsteps from the pool, and shopping and dining within minutes are just few things that make this the perfect rental. The house was all that it was advertised to be. Our 7 year old loved the hammocks and our mini labradoodle loved going on walks around the neighborhood and was so happy to meet so many new puppy friends. I definitely recommend this to anyone who is looking to stay in Santa Rosa Beach!! Icing on the cake was working with Mrs. Pat. She was so sweet on the phone, easy to work with and very efficient with her correspondence! Thank you for sharing Europa with us! You are so accommodating for people traveling with dogs. Buzz loved the bed that was waiting for him and we had to go buy him more of the treats you left him because he munched them down in a hurry. Loved the convenient location and the back yard is wonderful! Very nice home, we really enjoyed our stay. My fiance’s family was coming down to the beach for the week… We wanted to join, therefore we needed more room and a place where we could take his dog. Mellow Yellow was PERFECT!! Great little house with a short walk to the beach, view of the community pool and right in the back door of Goatfeathers. Everything we needed was right there, along with toys with which to play in the water. If you’re looking for a relaxing, smaller house for a week of beach fun, this is a GREAT choice!! We love our children, but sometimes you need a break, and this was the first one we had in years! Wow! What an amazing home. Which is where we felt like we were. Except we don’t have a private pool or live anywhere near the beach. Marble floors were perfectly cool for the dogs even in the heat of June. Private master suite was gorgeous. The whole place felt a bit like a suite at the Bellagio. Owner Pat was easy to work with even as she was traveling the world. Thanks again Pat. We will be checking out your other rentals too. Let us know when the Bahamas house is finished. Thanksgiving? Wow! The pictures do not do justice to this most amazing place! It was perfect. The bedrooms are spacious and immaculate. The beds are comfortable. The kitchen is very well stocked with everything you need to make a gourmet meal. The porches with hammocks are a nice touch. We rented bikes and rode the entire area. Beautiful! The beach is literally a few steps from the subdivision entrance. We walked and rode our bikes down – but it’s really a very short walk. The beach access has clean public bathrooms right where you need them. We rented umbrellas and chairs easily for our lazy beach days. They come with full set-up. The only minus – and it was minor – you must have a dog permit. We took our chances and received a verbal warning. Other than that, it’s perfect. Plenty of linens. Plenty of everything you need. Oh, yes, and the pool is right outside the back door. We decided to needed a beach week but had no one to keep our dogs. Wondered if there was a nice condo or house that actually accepted dogs and wasn’t flea ridden! Googled “dog friendly properties” and the website came up. Bottom line: this two bedroom townhouse is so cute and perfectly fitted out. Spotless!! The place was pretty, beds so comfortable, kitchen completely fitted out, flat screens in every room. It is about a block and a half from the beach so easily walkable. There are balconies upstairs off both bedrooms plus front and back porches. The back faces a pool shared by 10-12 similar homes which surround it. We took our dogs to the beach after 6 each evening and let them run around. Were never stopped by anyone or received no complaints for this. Before 9 in the am we walked with them on a leash. Saw other dogs at these times as well. "What a wonderful week at the beach!" Mellow yellow was a delightful accommodation for our week at the beach. Pat and Lee, thank you for sharing your very comfortable home. The beach was a short 5 minute walk and the pool was steps from the back door. We enjoyed our evening walk to the artists kiosks and found several treasures to remind us of the time we spent at Mellow Yellow. Santa Rosa beach is quiet yet Destin and PC are just a short drive away. Pat is so easy to work with and responsive to any question I had. I look forward to spending more time here soon! We have stayed at Europa multiple times and it’s always such a treat! We have two dogs that love going to the beach as much as we do. 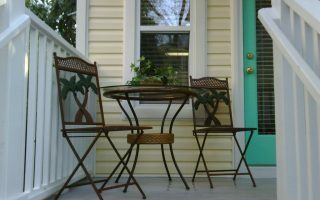 It’s a great space – large, clean, conveniently located on 30-A and the owner is wonderful as well. Highly recommend! We had a wonderful 9 days at Mellow Yellow. The house is nicely decorated, well-furnished and clean with a spacious dining and living room area. It is conveniently located with the community pool practically rights outside the back door (no need to cross any streets) and the beach is a short few minutes walk, without needing to cross any busy streets. I would definitely stay at Mellow Yellow again. "The Perfect Touch at Europa"
This escape from mundane living has everything you might need to cook, grill, relax, or entertain yourself during your stay. I breathe a sigh of relief as soon as I arrive. Sitting out back by the pool, relaxing in my room, sitting down to eat; it doesn’t matter where I am at Europa, my eyes see just the perfect touch of decor, I notice something that pleases my eye, I notice that everything is just as it should be! It’s like being home, yet I don’t have to DO anything! …………… AND I am just a couple minutes from wonderful restaurants (Stinky’s and Goatfeathers) and the beach! I don’t have to deal with the traffic of Hywy 98. OR I can stay in and prepare something yummy, because it’s so nice here at Europa, and everything I need is here. My sisters and I have chosen Europa for our girls’ getaway….but now the husbands want to come, too! I have stayed here several times, and hope to again on the future. Thank you, Pat, for creating such a nice place to come home to! "Quiet yet close, pet friendly yet clean, whimsical yet peaceful! GREAT PLACE!" So grateful to have found Mellow Yellow, the owner is hospitable and the home is very comfortable. We looked forward to this trip all summer, and the place did not disappoint. We were able to comfortably cook a full dinner one evening. There were plenty of pillows and towels. The hammocks were the perfect place to nap, if we weren’t napping poolside. We brought a cable to secure outside, since she isn’t a “barker”, the neighbors just pat her on the head or spoke to her on their way to the pool. I felt comfortable contacting the owner with any concerns, and highly recommend Mellow Yellow. ps. If you aren’t traveling with a pet, and might be wary of a “pet friendly” place… I’d say this home is kept as well as “no-pets” places. Mellow Yellow was a fabulous place to stay! The home had a wonderful beachy feel and is beautifully decorated. We had everything we needed and the owner is fabulous to work with! She is so pleasant and nice! The location was great since it was so close to the beach and restaurants/shops. There were treats waiting for our dogs and water/food bowls provided. The description of the location/cottage was accurate and the photos really did not do justice to the actual home. The neighborhood was beautiful and everyone was so friendly. The home/property is well kept. I would highly recommend this cottage to anyone and we will definitely rent this place again in the future! Our whole family was very impressed! Close to the gorgeous white sandy beaches of the Gulf of Mexico and within minutes of dining at some of30-A’s finest restaurants, we were thrilled to call Europa home for a week! We had an absolutely perfect Fall vacation. Pat and Lee, thank you so much for sharing Europa with us – your home is such a treasure! If anyone is looking for an upscale beach vacation experience, then this is the place for you! We enjoyed the gorgeous décor (loved the Red Door Powder Room), gourmet kitchen, the luxurious master suite, the bar, the list goes on and on. Oh, and let’s not forget the pool and deck! Mike and I, along with the Z dog had such a relaxing time at Europa. The water bowl and treats were all ready for the Z dog when we got there, so he made himself right at home. Loved our stay, definitely look forward to our next trip to Europa! We also love staying at Mellow Yellow – when the nephew and family come to stay and play at the beach! This is the fourth time we have stayed at Mellow Yellow. Absolutely superb. We love coming here. We rest relax and our little Yorkie Shelby Loves it. Pat is wonderful to work with and it is an absolute pleasure to do business with her. The house is adorable the pool is awesome and our days at the beach which is just a walk away are wonderful. I think we will be coming here forever we love it so much. "Dog Heaven and Mama’s Paradise"
I have been to the Destin/Santa Rosa area every year for at least the past 10 years. I have stayed at many places, and Europa was, by far, my favorite place to stay. I stayed for 2 and a half weeks. Pat was a pleasure to do business with and was very accomodating to my situation and requests. I was unsure of the exact location until I got there. It was perfect and very close to the beach as I was hoping! Europa had everything that you could ask for and the pool was beautiful. I brought both of my dogs, and I think they loved it just as much as I did! I highly recommend renting this place! It was beautiful and unique! 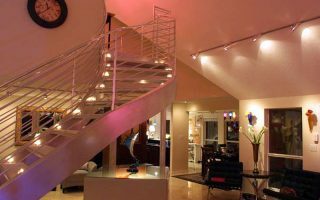 I loved the lighting and contemporary decor! Thank you, Pat, for opening your home to us! We WILL be back! We cant say enough good things about our TOO short stay at Europa. My husband had a conference in Sandestin, a 14 min drive. The pictures on the site are wonderful,but to me they still didnt do the place justice. When you open the front door it has that WOW factor. Elegant decor yet inviting and comfrotable. Pat the owner, has thought of everything that you will need or MIGHT needThe backyard was only beautiful, it even had a poop-bag station. Our 2 #60 furry children loved that it was fenced and they could go out on their own and bask in the sun. Plenty of privacy and a pool that was perfect for floating with a book and a a glass of wine.With the jasmine and wisteria the sweet aroma lured you outside. The neighborhood is established and quite, nice t owalk your dog or dogs. The fact that it isn’t on the beach side, don’t let that deter you for it is literally steps to the beach across the street.Pat has listed all the surrounding restaurants and that was very helpful. Making the reservations and corresponding wth Pat was not only easy but very pleasant. Our only regret,our visit was by far TOO short. We have stayed many many times in VRBO on 30A, and book different places for the experiences, but we will return back to Europa for us and our furry children this was the best. We are still talking to our friends about our wonderful time at Europa. The house was just as it was described. The owner was very helpful during the booking process and answered questions we had prior to arrival quickly. The location is quiet but close to shopping and restaurants. The beach a short walk away and the community pool is well maintained. The other guests were friendly but everyone kept to themselves. We had our 2 teen daughters and our dog along. Everyone loved the house and location. The listing was accurate and Mellow Yellow is one of the most charming places that we have rented so far from VRBO. The photos reflect some but not all of the charm of this most pleasant townhome. The access to the beach was convenient, we had our granddaughter with us as well as the dog and we had a most marvelous time. Mellow Yellow is close to 30 A and a lot of wonderful restaurants. The owner was extremely helpful with all our questions. Not only would I recommend this beautiful townhome we plan to go again! Ah, 30-A, there is no place like 30-A – Santa Rosa Beach, Dune Allen, Seaside, Seagrove and so much more. Our family had another wonderful vacation at Europa, we are so grateful that Pat and Lee have opened up their home to us and so many others. Europa has everything you could want in a vacation get-a-way. This is our second trip to Europa (we have lost track of the number of wonderful trips to Mellow Yellow) and it was just as wonderful as our first trip there. We had family down to visit and everyone loved the house, grounds and the location. This was our Sisters-of-Choice first trip to Europa – they loved the gourmet kitchen, the marble floors, the Red Door powder room and of course, the pool. We usually started our days with coffee overlooking the pool and ended our days with cocktails around the pool. We took our daily trips to the beach and the weather was perfect! We lounged around and recharged and rested. We had wonderful meals at Goatfeathers, the Red Bar, Elmos and Bruno’s Pizza (an institution in Seagrove). Some of their comments – We could live here. We will always love our porch parties at Mellow Yellow, but Europa is something special. Europa is fantastic! What week are we coming back next year? We love Europa! Of course, Mike and the Z dog hung out and had a relaxing time too. Z dog’s most favorite place is the back porch off the kitchen and master bedroom. We set his crate up, cranked up his personal fan and he spent many happy hours snoozing – after all, he was on vacation too! Thanks again, Pat and Lee for everything, can’t wait to set up our trip for next year! "Our home away from home!!!" What can we say…. Santa Rosa Beach is our home away from home! Our favorite place on earth and now finding an amazing place to stay!!! Europa quickly became as comfortable as our own! What a wonderful place to sit back, relax, sunbathe, swim and enjoy! Europa was just as the pictures but better! 😉 What a great kitchen for cooking our daily seafood dinners! We enjoyed the pool morning and night, not to mention the firepit and the fenced-in yard for our pups! We come every year to SRB and going to Stinkies is a must for us! Love that Eurpoa is within walking distance! 🙂 and come to find out, Europa is across the street from our favorite beach access – could not have been better! Thanks to Pat, Lee and Scooter for making this trip another memorable one for us! We will be back! "PERFECT BEACH GETAWAY FOR MY HUSBAND, MYSELF, AND OUR GERMAN SHEPHERD PUP"
We were provided with everything one could need prior to our arrival, from maps, directions, restaurant suggestions, etc. Upon arrival we were stunned, everything was perfect. The Mellow Yellow was spotless, so clean and cozy. There was plenty of space to set up our gigantic dog crate, which was very important for us! There was everything you could need; new washer/dryer, dishwasher, rocking chairs on the front porch, and hammocks on the two upstairs porches! It was well represented, everything you expected is what you got plus some. Pat went out of her way to accommodate us, make us feel at home, and make us part of her beach family! It was very relaxing, I cannot wait to go back down!! We had a huge grill that was ours and shared pooled in the community, but we never actually used the pool The BEACH was too BEAUTIFUL! About a block down the road is your beach access, there is a shower and a bathroom there for your beach departure. There is also a really great guy who sets up your chairs and umbrella if you choose to rent them. I suggest YOU DO! It made everything easier having it all right there, not too mention we rented a KAYAK, best decision we made!!! The pup (a 100lb German Shepherd) went to the beach and had a ball. (dogs are allowed before 9 and after 6) We went for runs on the beach, played in the water, swam, chased birds, played fetch, dug in the sand, and socialized with some other pups. If you have a dog you can definitely appreciate this. The mornings and the evenings were my favorite part of each day. The whole family got to play together….it was awesome. It is such a privilege to have your dog allowed on the beach….SO REMEMBER TO CLEAN UP AFTER YOUR DOG!!! EVERYONE DOES! The beaches are so clean and gorgeous. Santa Rosa beach was just voted #3 most beautiful beach in the nation! A short walk from the house is a business area that houses a coffee shop, restaurants, shops, bars, a pharmacy, etc… But we did drive the extra few miles every day to go to SeaSide Village. Our best dinners were down there, I got a fresh juice every morning from RAW N JUICY, my husband enjoyed many hotdogs from an airstream van, and we shopped at Modica Market which had everything from toilet paper to fine wines…their prepared foods were delicious. WE LOVE THE MELLOW YELLOW … WE WILL BE RETURNING SOONER THAN LATER!! We came across this property while frantically searching for a place to stay while we attended our daughter’s wedding – not hard by itself but when you add in three dogs it becomes more difficult. Pat was wonderful, the back yard was fabulous, great for the dogs and it was such a nice touch to leave dog biscuits for the pups. The entire property was beautiful inside and out, lots of room, great kitchen – well stocked. Perfect location, close to the beach, shopping, restaurants…. So grateful to Pat for working with us on the dates and allowing us to bring our entire brood..
"A little bit of heaven with our pups!" Europa….WOW! We accidentally stumbled upon the most perfect home in Santa Rosa Beach. The home, the furnishings, and the location only begin to touch on the beauty behind Europa! We were able to bring our two large pups into the most welcoming environment we could imagine. The fenced in yard was so comfortable for all of us, cooking out, relaxing near the pool and allowing the dogs some freedom to roam. We can’t wait to return. "This cottage was perfect for the three adults and our small pet yorkie." This cottage was perfect for the three adults and our small pet yorkie. Very clean and comfortable. Everything was easy to locate. Beaches, pool, restaurants, shops. The only thing that didn’t work was our Lap-top. Very enjoyable and would definitely rent this place again without a doubt. "Special visit for our Best Friend"
My husband and I visit his children who live in Santa Rosa Beach often. 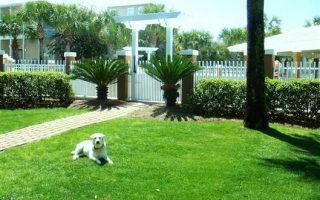 It is not easy to find a vacation home that meets all of our requirements: Pet friendly with fence yard, convenient location, comfortable, and spacious. The Europa house was all of this and more. It is artfully decorated and left nothing for us to want. My husband and I will return, with or without our pets. It is a great property. "Spring Break / meeting family from out of town"
We had a wonderful time at Europa house. The decor is wonderful, exceptionally clean too! The kitchen had every tool you would need to prepare a meal. My sister & I stayed at Europa and made Easter dinner for the family ( other family members staying somewhere else), we had no problem getting our dinner together in the well stocked kitchen. We also grilled on the Weber gas grill and that worked out lovely!! We enjoyed the back yard and the beautiful pool. In the evening you can hear the ocean water! The dogs had a marvelous time at Europa house. The house had bowls, dog bed, crate and even welcoming dog biscuits!! Pat was lovely to work with too. The location is ideal, we were walking and found a beach access that was a 10 minute walk! I think we may also try the Mellow Yellow house this fall. It has two bedrooms, I might bring the husband this time. This is a keeper for future rentals for us!! Great Property!! "We can’t wait to go back!" We truly enjoyed our stay at Mellow Yellow. The property is roomy, comfortable and very clean. The back decks overlook the swimming pool and our perfect for early morning coffee or evening drinks. Also, you can’t beat the location. The house is on the beachside of 30A and a short walk to the beach–no need to worry about parking. We can’t wait to go back! Europa is absolutely gorgeous! It was very clean and in a quiet neighborhood. The pool and fenced in yard was an extra bonus. Sometimes when you rent a home, the pictures are nicer than the property. Not this time! The beds were very comfortable, the kitchen was equipped with everything you could possibly need, the living room furniture was cozy and it was per friendly but you would never know it. No pet smells or dog hair flying around. Pat is an absolute joy and Jane does a wonderful job at keeping Europa clean. Will definitely return! "MOST DOG FRIENDLY VACATION HOME EVER WE. LOVE THIS PLACE"
This will be our 4th year staying at Europa. There is not a better vacation home to take your pet elegant but homey accommodations make this vacation home A Plus place to stay. We book our reservation the day we leave. This truly makes you feel like you are at home . You want for nothing . PLEASE VISIT THIS SIGHT YOU WILL LOVE IT TO. THIS VACATION HOME IS BONZO ENDORSED AND APPROVED. What a pleasure it was spending a week at this amazing home!! Beautifully furnished, immaculately clean and so comfortable. Loved the privacy of the backyard with the pool and it literally was just minutes to stroll to the beach. Pat did an amazing job on decorating this home and making you feel you are truly in a special place! Our teenage daughter and her friend enjoyed having the upstairs to themselves and there was plenty of room for all of us to spread out and relax. Our dog Cash was able to be with us and that meant the world to us. Pat was so easy to work with while making our arrangements for our stay. She was very responsive and informative to my emails and every detail was taken care of during our stay. I am looking forward to a return visit next summer. I highly recommend Europa, you will not be disappointed!!! I love this house!!!! "Pictures do not do this vacation home justice." This was our first visit to Europa, but will definitely not be our last! We thought we new what to expect based on the pictures, but were pleasantly surprised when we arrived. Pat has gone above and beyond to make the guests (two legged and four legged) feel welcome at Europa. We arrived late in the evening and there were dog bowls and biscuits waiting for Beau and Dixie. Although the weather did not permit us to use the pool, we made good use of the patio and grill. Our babies particularly enjoyed the walks through the neighborhood and to the beach. We loved how close it was to some of the areas best restaurants, some you could walk to. Can’t wait till we can plan our next visit to Europa, I’m sure next time we will be able to make good use of that beautiful pool! "My family had an amazing time at Europa!" "Best two weeks I have ever spent…"
"We feel like it is our home away from home." Our family vacation for the 2009 year will be at Mellow Yellow for the 4th year. It is such a nice place and very clean. We feel like it is our home away from home. Our family looks forward every year to spend time at the beach house. "Will definitely rent from Pat in the future!"